SEASONS | Love Productions Inc. The four seasons: symbols of people’s lives. ​in a romantically white winter. The stage becomes a 16th century marketplace on which life is presented in all its rich variety. Using no words, stories are told about love, passion, courage and change. The audience embarks on an eventful journey through time, traversing the four seasons that serve to represent the cycle of life: a journey into the whimsical world of Adrian Schvarzstein. A fictional world full of truths and symbols, full of energy and lust for life, extending far beyond the constraints of the stage. 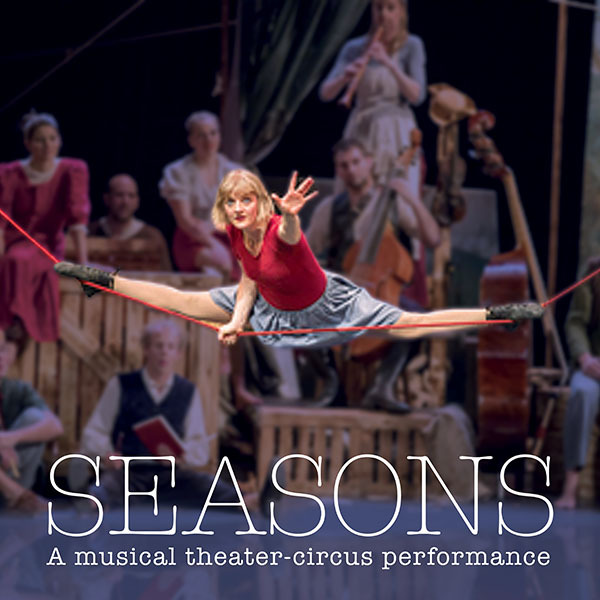 “SEASONS” moves its audience physically and psychologically. Across emotions like sorrow, happiness, rage and euphoria, SEASONS communicates powerfully via the artists’ bodies and instruments..